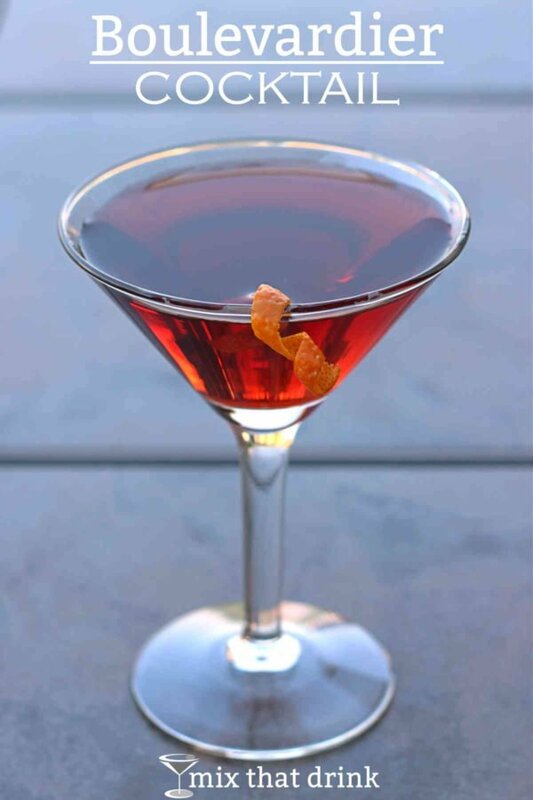 If you’ve rejected the Negroni in the past because you don’t like gin, you might want to try The Boulevardier. It uses whiskey instead of gin, and the flavor difference is surprising, even with the other ingredients being the same. 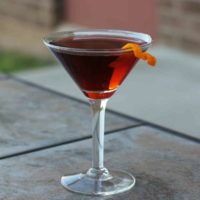 I like a good Negroni, made with a gin that’s strong enough to take on the intense combination of Campari and sweet vermouth. 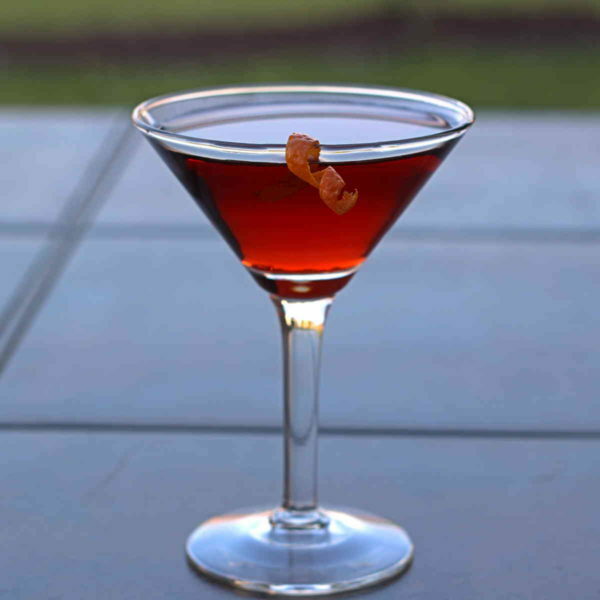 But any whiskey is plenty strong enough for that task, and that’s what makes this drink recipe so different. Gin is sharp and bright, but whiskey is complex and dark, with notes of wood and smoke, depending what brand you use. I personally give this one half and ounce more whiskey than the Negroni gets of gin. You can leave the whiskey at 1 ounce, but 1 1/2 ounces lets it almost but not quite take over, which I like. And if you’re wondering what brand of whiskey to use in this one, I’ll say as always: your favorite blended brand will be wonderful. Gentleman Jack or regular Jack, Maker’s Mark, Wild Turkey – they’re all great choices. The sweet and slightly bitter notes from Campari and vermouth are going to influence the flavor significantly anyway. 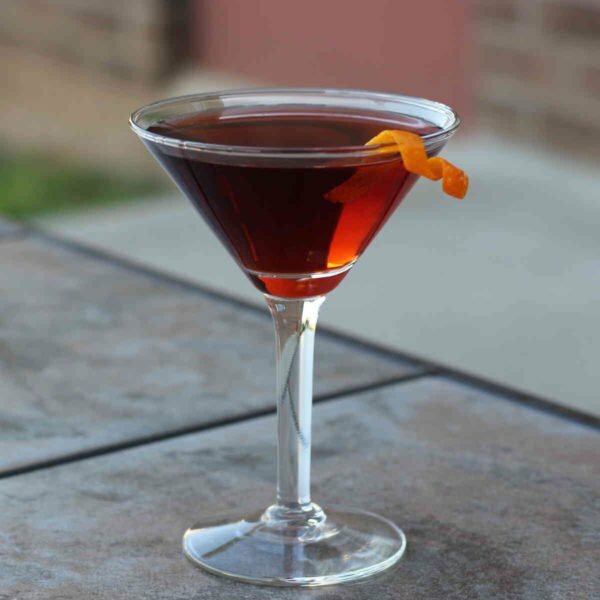 The Boulevardier drink recipe is a lot like the Negroni, except for one important detail. It uses whiskey instead of gin, and the flavor difference is surprising. Garnish with a cherry or twist of orange. Negronis aren’t my favorite drink, but somebody convinced me to try this because I adore bourbon. It became one of my favorite cocktails.